There comes a time when you realize you can't scrap EVERY photo on a layout. 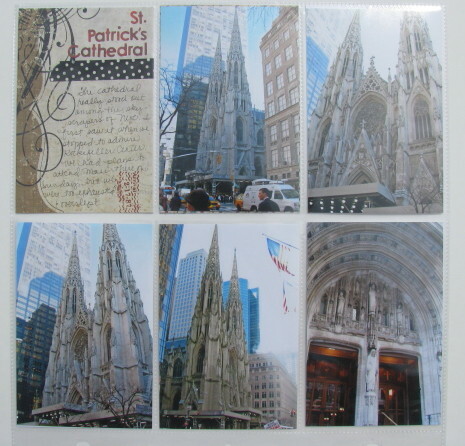 That time came for me when I was in the planning stages of my NYC album. I wanted to include (almost) every photo from the trip, but realized not every photo was "scrap-worthy." To me, I scrap photos that need to tell a story. 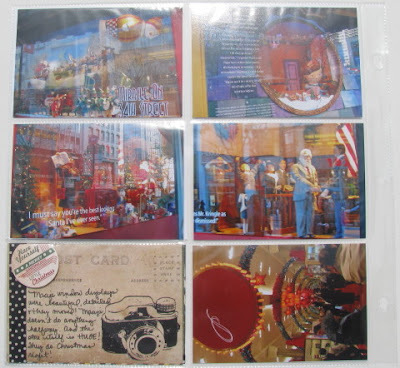 Instead of spending hours editing my photos into smaller sizes or making them into photo collages to be used on layouts, I opted to use the American Crafts photo pages for my albums. 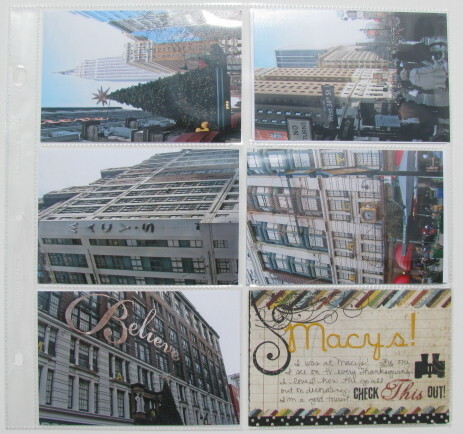 Each side holds six 4x6 photos. 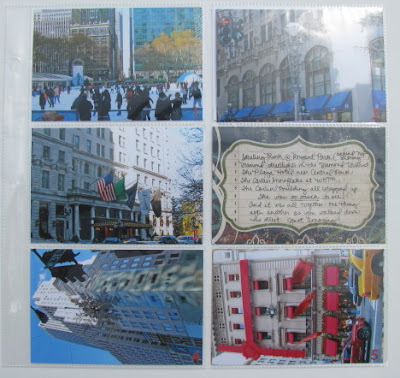 By mixing these protectors in with regular 12x12 scrapbook layout page protectors, I am able to include traditional layouts of our trip's photos and also the less "scrap-worthy" photos, too. 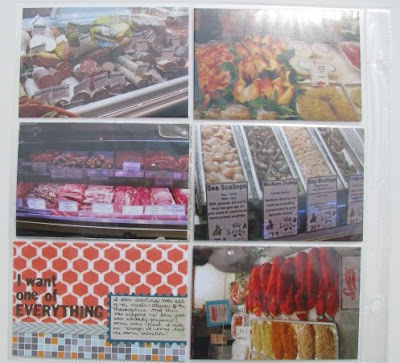 The first 6-up page in my album includes photos of the great variety of food at the marketplace in Grand Central Station. (I get hungry every time I look at it!) 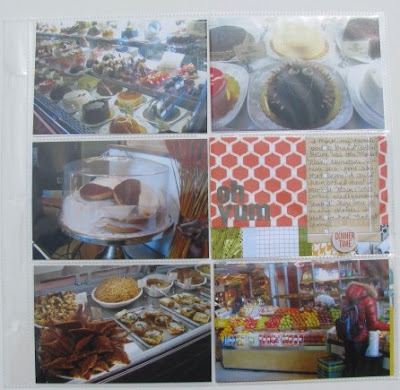 I still had a short story to go with these photos so I created a 4x6 "mini page" for one of the photo pockets. (I used Studio Calico supplies.) The food photos carried over to the next page. With my photo pages mixed in with regular layouts, I feel like I'm getting more accomplished. I'm not wasting a lot of time figuring out how to scrap random photos. I feel like the photos with an important story or incredible shots fall into place on their own quickly. Now I am also quickly documenting less important photos, too. I had wanted to finish this album before the end of summer. Now, my goal is to finish this year!